It seems like everyone is tracking steps these days. As of early 2018, there were over 25 million active Fitbit users. Millions of other people use other devices to log how much they move each day as well. Employers are jumping on the bandwagon too. 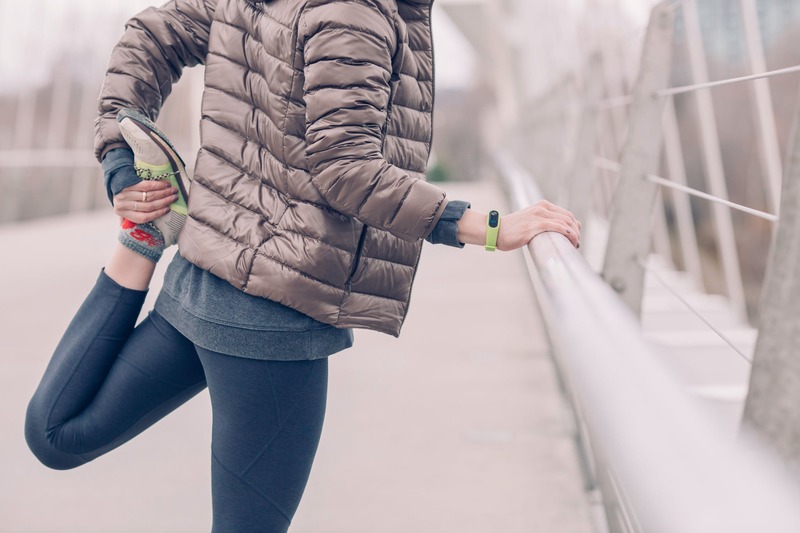 More and more organizations are purchasing or subsidizing fitness trackers for their employees. Given all the buzz around tracking steps, many people assume that step count is the key metric to track for weight loss or better health and fitness. In reality, tracking steps is a bad idea. In this article, you’ll learn why. You’ll also learn what to track instead. Note: If this is your first time at StrongerHabits.com, you can also click here to take a free assessment of some of your current habits. The assessment takes less than 3 minutes, and you get your results immediately. You’ll also get 3 free videos on how to break bad habits and make good ones last. Walking is a wonderful activity. It’s low-impact, no equipment is required, and you can do it anywhere. However, walking is also the least efficient way to lose weight, get fit, and make your heart stronger. For example, a 200-pound man only burns about 200-300 calories in one hour of walking. That same man could burn 3-4 times as many calories in one hour by doing higher-intensity circuit training. And, that doesn’t even tell the whole story. More difficult exercise also boosts your metabolism after your workout, thanks to something known as EPOC (excess post-exercise oxygen consumption). During EPOC, your body works to restore itself to pre-exercise levels. Training at a higher intensity results in a greater oxygen debt and requires your body to work harder post-exercise to get back to its normal state. In other words, high-intensity exercise also burns a lot of calories after your workout. Walking, on the other hand, does not produce this “afterburn” effect. It is possible to log 10,000 steps or more each day without ever breaking a sweat and elevating your heart rate. Quality matters much more than quantity when it comes to your steps and workout time. In one experiment, scientists at McMaster University in Ontario looked at the impact of interval training. They found that five minutes of interval training (consisting of only sixty seconds of strenuous exercise) can yield the same physiological benefits as forty-five minutes of steady, less intense exercise. Society’s over-emphasis on tracking steps has unintentionally de-emphasized the importance of flexibility, strength training, and balance and coordination exercises. You log few steps (or no steps at all) during each of those kinds of exercise, yet they are incredibly important. Even if some or many of your steps each day come from vigorous cardiovascular activity, that does not mean your workout program is optimal. Jogging, running, cycling, etc. do not improve your balance, coordination, or flexibility. In fact, too much jogging, running, cycling, etc. (without enough stretching) will make you less flexible. Focusing too much on steps usually also comes at the expense of strength training. As discussed here, not doing enough strength training leads to weaker bones, joints, and muscles, in addition to other problems. Many runners, triathletes, and endurance athletes follow lopsided workout programs that overemphasize mileage and cardiovascular activity. This often leads to aches, pains, poor posture, poor muscle tone, poor strength, and injuries. It has been estimated that we lose 8 percent of our muscle each decade starting at the age of forty. Most people also start losing muscle even faster later in life. Flexibility, balance, and coordination all generally drop as well. If you want to age more gracefully and experience less pain and aches, a well-rounded workout regimen is essential. Pay at least as much attention to flexibility, balance, coordination, and strength training as to your step count and cardiovascular activity. What should you track instead of steps? Aerobic exercise: At least 150 minutes of moderate-intensity (or at least of sixty minutes of high-intensity) aerobic activity each week. Strength training exercises for all major muscle groups on at least two days each week. Flexibility exercises for all major muscle groups on at least two days each week. Balance and coordination exercises on at least two days each week. If you enjoy tracking steps, you can certainly do so. However, it’s more important that you work toward meeting ACSM’s weekly recommendations. But, tracking steps helps me walk more! Some people might be tempted to argue against my claims against tracking steps. For evidence, they might point to the fact that tracking steps has helped them (or someone they know) walk more, lose weight, etc. What would my response be to such people? If they could improve just by focusing on steps, imagine how much more they would have improved if they had tracked themselves against ACSM’s comprehensive exercise guidelines instead. You will not optimize your energy, resilience, and performance by tracking steps. To become the best and strongest version of yourself, a more difficult and well-rounded exercise program is required. How can you get started if you are a beginner? If you are a beginner, start as small and easy as necessary with exercise. Increase frequency, duration, and/or intensity when you feel ready. You can meet ACSM’s guidelines in about thirty minutes of exercise on five to six days a week. Anyone can set aside one half-hour each day (or most days). This is only 2 percent of your time. You do not need to start here though. This is simply what to aim for eventually. Tracking yourself against ACSM’s guidelines is unfortunately not as straightforward as tracking steps. However, it’s worth the effort. One idea is to create a simple spreadsheet that you update daily or weekly (what I do). Quality matters more than quantity when it comes to your workout time. A daily step count is a poor metric to track and pursue for your workout regimen. If you want to be healthier and fitter, be less injury-prone, and age more gracefully, follow a well-rounded workout program. Tracking steps is a bad idea. Focus on moderate and high-intensity aerobic activity, strength training exercises, flexibility exercises, and balance and coordination exercises. Those areas are more important than your daily step count. Smith, Craig, December 2018, “60 Interesting Fitbit Statistics and Facts,” https://expandedramblings.com/index.php/fitbit-statistics/. Vanderloo, Leigh, Huffington Post, April 18, 2017, “What Science Actually Says About Taking 10,000 Steps A Day,” https://www.huffingtonpost.ca/leigh-vanderloo/10000-steps-a-day_b_16077702.html. Jenna B. Gillen et al., “Twelve Weeks of Sprint Interval Training Improves Indices of Cardiometabolic Health Similar to Traditional Endurance Training despite a Five-Fold Lower Exercise Volume and Time Commitment,” PLOS ONE, (April 2016), https://doi.org/10.1371/journal.pone.0154075. ACSM Issues New Recommendations on Quantity and Quality of Exercise,” ACSM, accessed on August 4, 2017, http://www.aorg/about-acsm/media-room/news-releases/2011/08/01/acsm-issues-new-recommendations-on-quantity-and-quality-of-exercise.